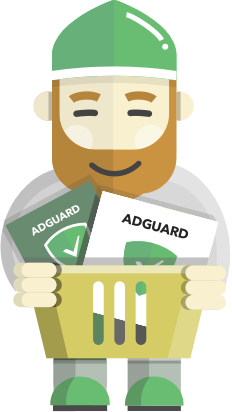 Today's article is a very short one: I just want to let all of you know about two minor updates: for AdGuard for Android and AdGuard for Windows, respectively. They are not big enough of updates to be worthy of a full-scale post, but couldn't be left unnoticed either. Below is a short extract of the most important changes and fixes that went into the new versions. Here we introduce one 'visual' change: separate Wi-Fi/Mobile stats on the 'Apps Management' screen. There's now a drop-down menu on the statistics screen that allows you to choose between displaying stats for Wi-Fi, Mobile or all traffic. Except for that, almost all other changes made are hotfixes of some sort, like one for "Wakelock" that prevented the device from entering sleeping mode. Oh, and we seized the opportunity to update the localizations and squeeze in some compatibility fixes. Over the last weeks we've received several reports about bugs that slithered in the latest release. They turned out to be both moderately important and relatively easy to fix, so we decided to release a new update off-schedule. While not being the most important feature, the automatic certificate reinstall is more relevant for Firefox-based browsers than for any other ones. And it just so happened that this feature didn't work in Firefox. We had to intervene! Also, you'll find several compatibility fixes, including one for desktop Viber app. This is not a normal practice — to release such small updates, but we felt like we shouldn't do it silently anyway, so here we go. Let us know if you have any questions or opinions on the new versions! It's time for the biggest sale of the year! On this Black Friday you will find the lowest prices on all AdGuard licenses.